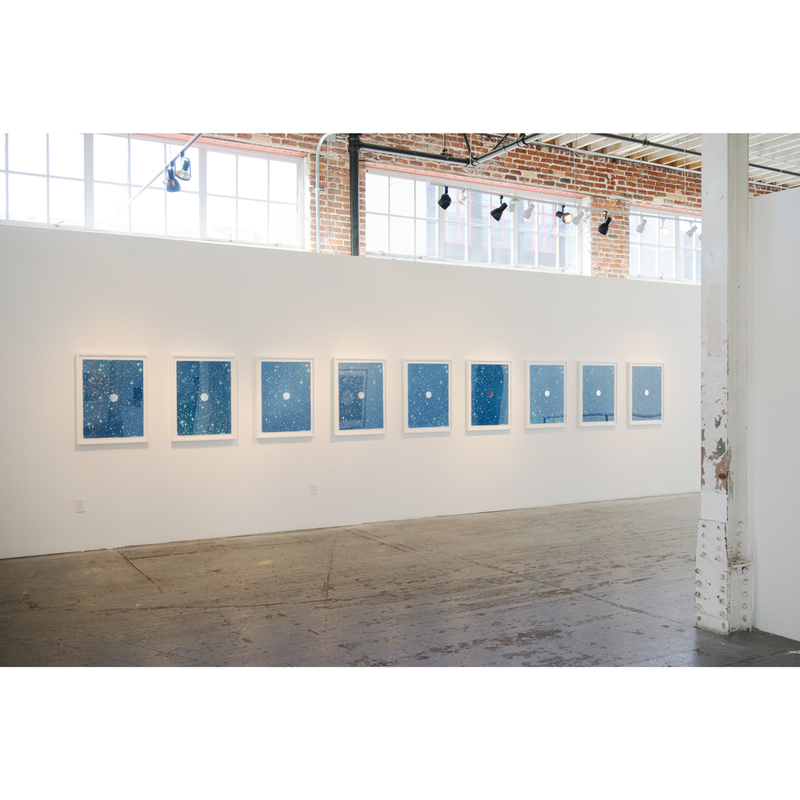 Equation Of Time is an edition of Cyanotype prints, simultaneously exposed by the light of the sun on the gallery rooftop on April 15th, 2017. Star gazing, craning our necks to the heavens, is the original source of wonder. This awestruck observation is at the root of this print project. Astronomer John Herschel—noted for coining the term “photography”—invented the cyanotype process in 1839. 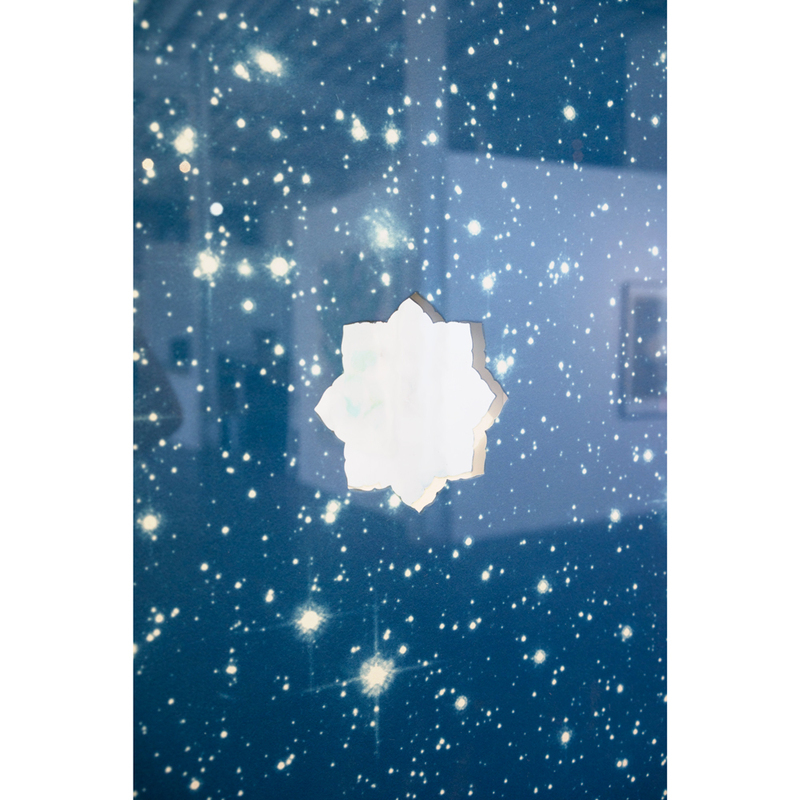 It is synchronistic that Ebtekar chose the Cyanotype process for this project as imagery for this print was culled from the NASA archive. Equation Of Time employs a conceit of poetic simplicity: An image of the cosmos / Brought to life by the light of the cosmos / The very thing it describes. The NASA image of the night sky, printed as a negative, was paired and exposed over 24x36 inch sheets by the light of the sun. The Cyanotype process is light absorbed into emulsion on paper afterwhich the image is revealed. A temporary darkroom was built on the roof of Gallery 16 to wash each print away from the direct light of the sun. Each print was dried and flattened for several days. At the center of each cyanotype print the we cut an intricate void in the shape of a Persian window, under which a shimmering silver leaf is inserted to reflect light outward. The print, at once, infinitely absorbs light and reflects it back out. The phrase "equation of time" is widely used to describe the difference between solar time and mechanical time. The daily rotation of the Earth is irregular and the small differences in the length of day, build up to produce longer differences between the two modes of timekeeping. Prior to the invention of mechanical clocks in the mid-17th century, sundials were the only reliable and generally accepted, standard timepieces. The sundial functions around the idea that when the sun reaches it’s highest point (meridian), it is noon, and when the sun crosses the meridian again the following day, it is noon, again. Mechanical Time functions around the idea that each day is 24 hours long, a notion that is not actually true. There are only four dates during a calendar year when solar time and mechanical time align. April 15th—the date these Cyanotype prints were produced—is one of these significant dates in astronomy. 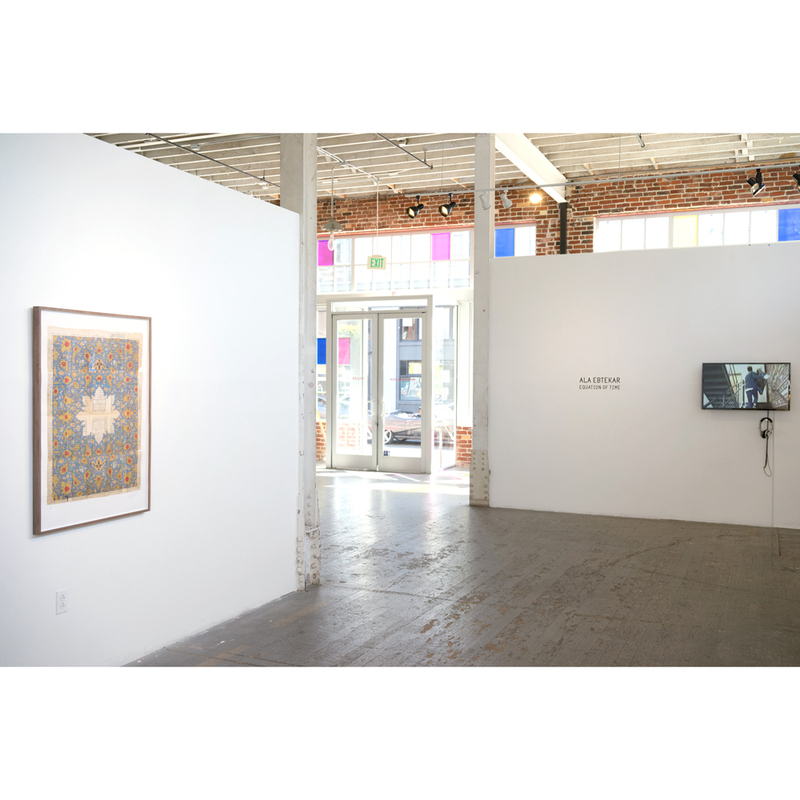 About the Artist: Ala Ebtekar is an artist, researcher, and educator. 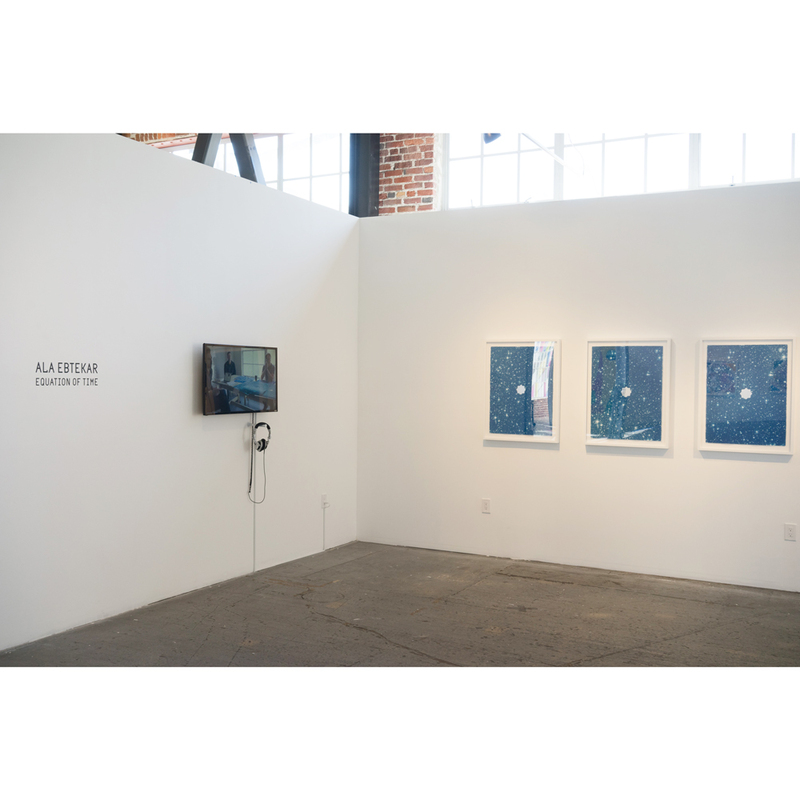 Ala Ebtekar is an American-based visual artist who lives in the San Francisco Bay Area. Ebtekar is known primarily for his work in painting, drawing, and installation that explores the juncture between history and myth, forging a multi-faceted project that melds Persian mythology, science, philosophy and pop culture together. Ala Ebtekar was born to Iranian activist parents and studied at the San Francisco Art Institute and Stanford University, where he now teaches. His upbringing led him to explore the spaces between cultures, both shared and separated. Such experiences evolved into a practice that disquiets dominant notions of identity and complicates cultural difference.